XTOMP is an ultrathin effects pedal stompbox that simulates all kinds of iconic classic, vintage, and modern pedals through its growing effects library of over 300 models. 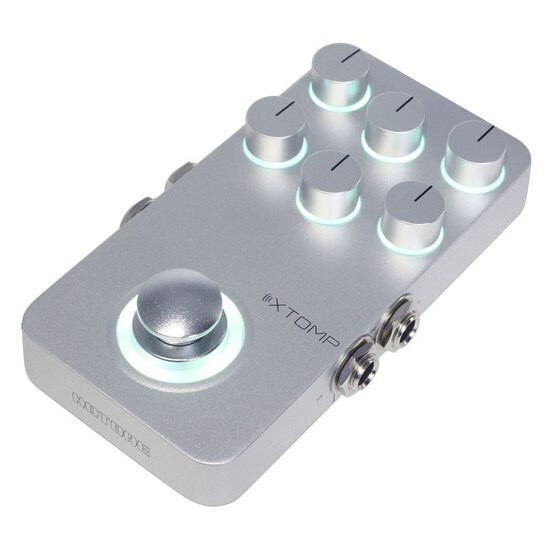 XTOMP uses an iOS and Android app to manage all your effects and transfers them to your stompbox via Bluetooth. This powerful pedal lets you get creative by giving you access to both modern, cutting edge units and rare, out of production pedals of lore. Hotone’s new Comprehensive Dynamic Circuit Modelling (CDCM) system technology, processes various incoming signals dynamically and is unlike any current modelling systems, which use the same modelling circuit regardless of the signal. CDCM allows for larger and more complex modelling algorithms, which equals more realistic and natural tones. There has never been anything like this technology in tone modelling before! XTOMP is a breakthrough product and represents the accumulation of Hotone’s technological strengths. As such, their team paid a great deal of attention to its visual and structural design. 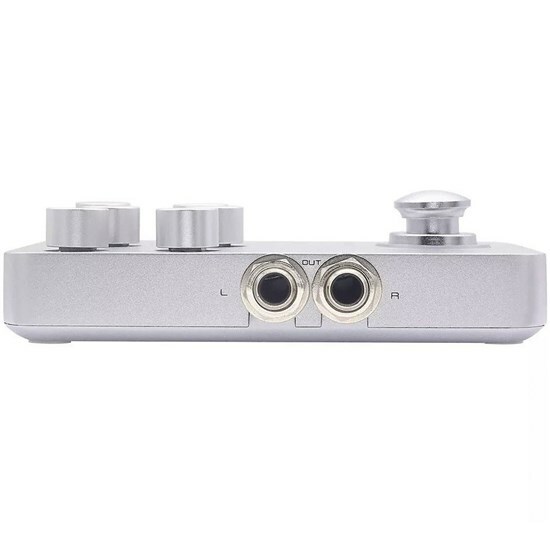 Having undergone several design revisions, Hotone decided on its central features: an extremely thin zinc alloy casing, a silver sand blasted finish, futuristic streamlined edging, a sci-tech logo, multicolor LED halo-surrounded metal knobs, wide brass alloy kick switch (also with LED halo), and stereo I/O jacks (L: Relay True Bypass, R: Buffer Bypass). Musicians of all kinds love simple-to-operate gear. It lets them focus on the fun of making music. 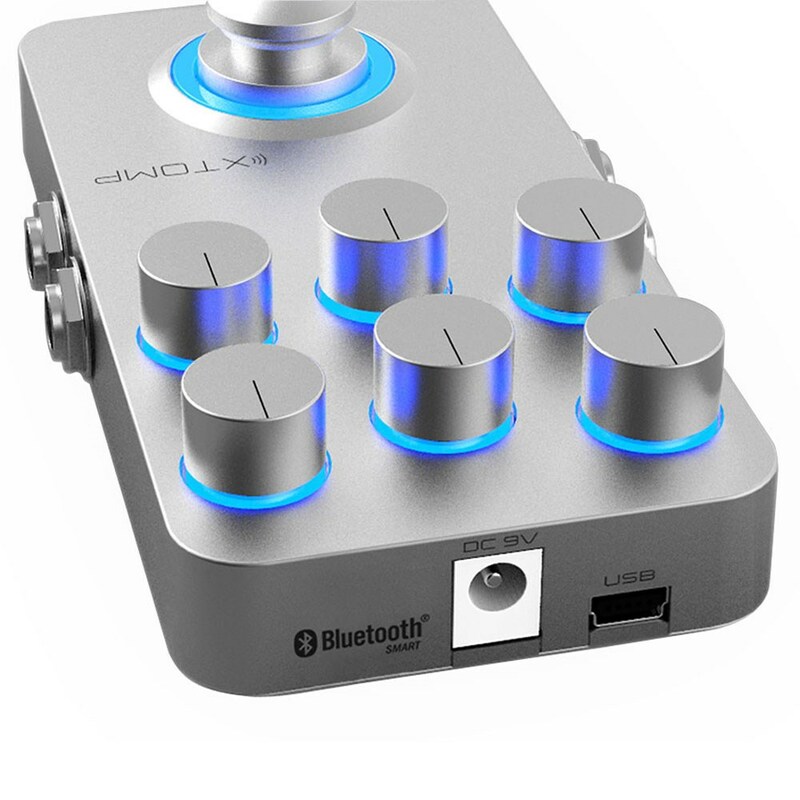 With that in mind, Hotone developed a smart but simple user interface: all you have to do is go in, find the pedal model you want, and put it in the XTOMP with the touch of a button. 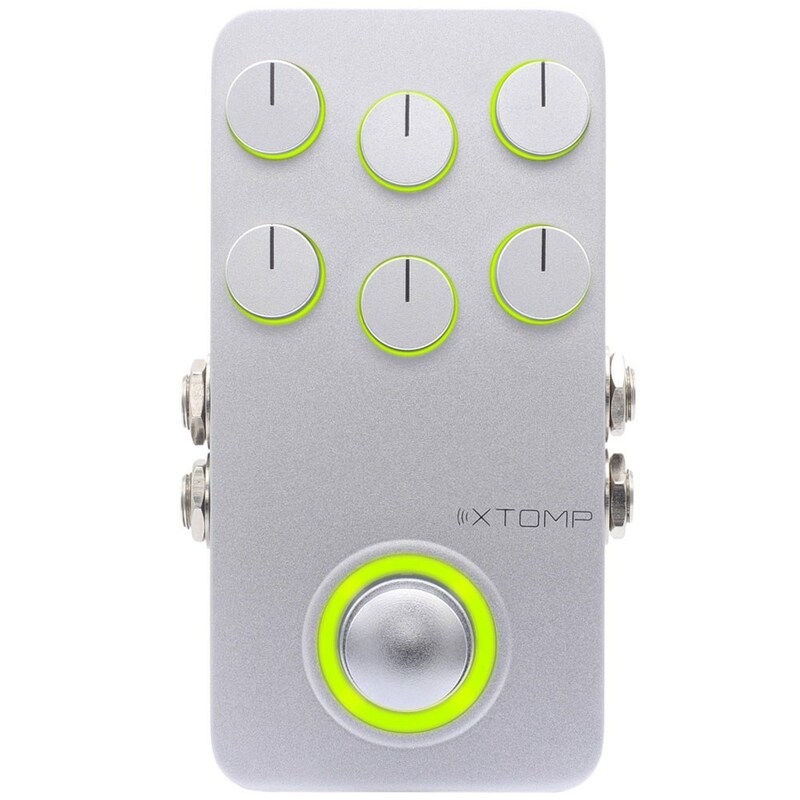 Adjust the XTOMP knobs to your liking, and you’re ready to rock.